Chorea is a movement disorder characterized by involuntary muscle contractions. Huntington’s disease is a fatal genetic disorder that causes the progressive breakdown of nerve cells in the brain. It deteriorates a person’s mental and physical movements usually while their prime working years and have no cure. Tardive dyskinesia is a side effect of antipsychotic medications. It causes stiff, jerky movements of your face and body that you cannot control. How does Austedo (Deutetrabenazine) work? Austedo (Deutetrabenazine) inhibits the vesicles that carry dopamine to the area between two nerve cells where it is released. This kind of vesicle is known as a vesicular monoamine transporter 2 (VMAT2). This drug reduces the amount of dopamine released from nerve cells and dialling back the stimulation of adjacent nerve cells. This prevents the overstimulation of muscles that causes chorea. Austedo (Deutetrabenazine) is a vesicular monoamine transporter-2 (VMAT2) inhibitor. 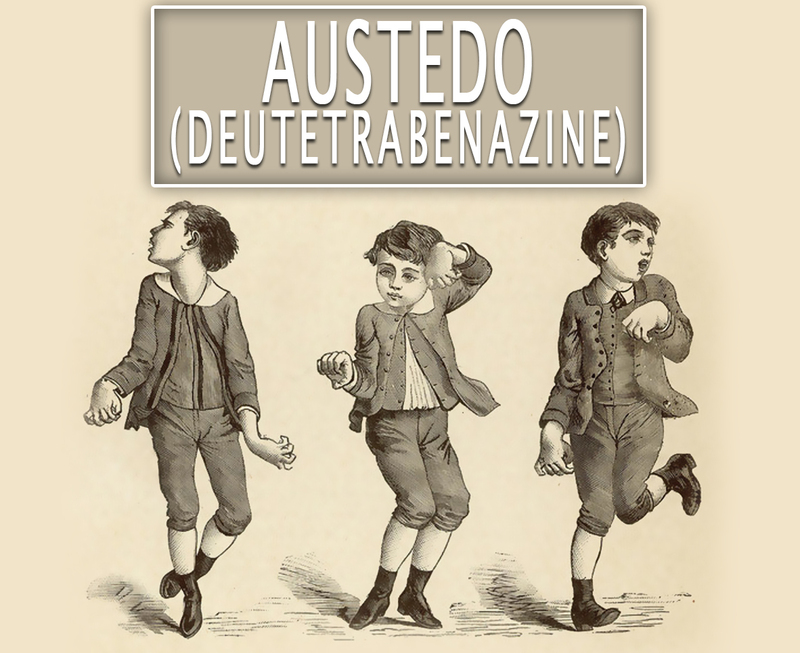 Austedo Tablets has Deutetrabenazine as an active ingredient. It is a white to slightly yellow crystalline powder that is sparingly soluble in water. It is also soluble in ethanol. Each tablet contains 6mg, 9mg, and 12mg of it for oral administration. The Food and Drug Administration (FDA) approved this medication. How to use Austedo (Deutetrabenazine)? The recommended dosage for this is based on your response and condition. This is usually taken once or twice a day. You may take it with food or as directed by your doctor. Swallow the tablets as a whole do not break or chew it. Take it at the same time each day. To get the most benefit of it, take it regularly. Do not double the prescribed dosage. What are the side-effects of Austedo (Deutetrabenazine)? Before using this medication, tell your doctor if you have medical history especially of breast cancer or liver problems. Avoid driving or performing any activity that needs your alertness. This drug may make you feel drowsy or dizzy. This medication contains inactive ingredients which can cause allergic reactions. Let your doctor know if you have any allergies. Before the treatment, inform your doctor if you have any current medications (vitamins or herbal supplements). This medication is only prescribed for pregnant women when clearly needed.